OMG! Is it already the end?? I can't believe it! But I won't let you wait any longer. 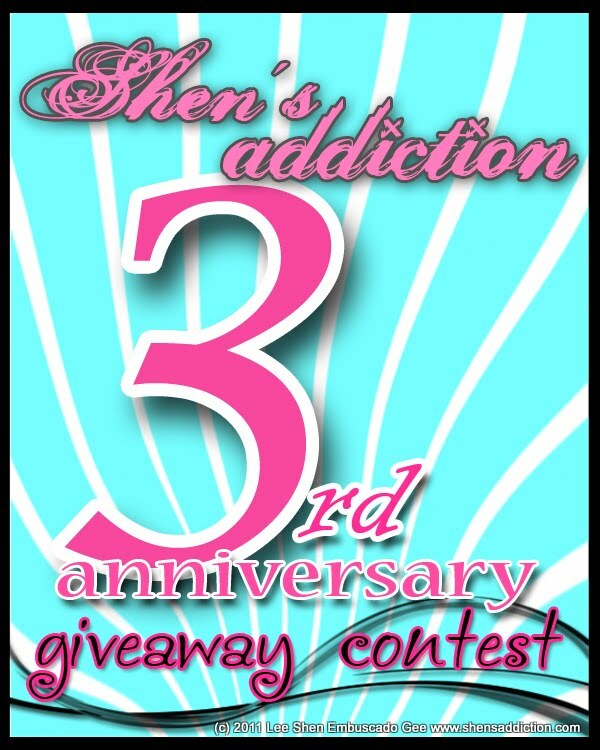 This last week of my 3rd Anniversary Giveaway, we have 20 winners!! P.S. Watch out for my upcoming Penshoppe Contest! :) Like their Facebook page! aaaaaawwww, even with so many winners i still didn't win :( ....congrats to the winners!!!! i envy you guys!! congrats :)sana may next contest pa! weeeeeeeee....thank you ms. Shen...and congrats to all the winners.. Thanks!! i won the body shop nutrilift gift set! i hope you can ship the prize to me.. thank you very much.. i am willing to wait.. :) i will send email to you regarding my info..
more power and more give aways to come!! !